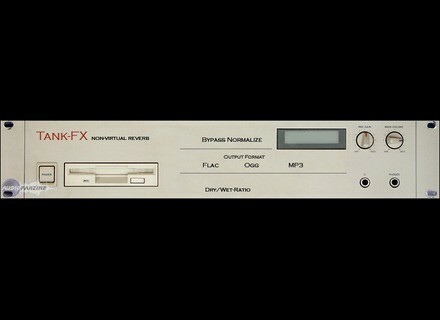 Tank-FX [Freeware], Software algorithmic reverb from Tank-FX. Tank-FX is described as "a non-virtual effect device." The reverb is generated by a huge [11m] tank made of ferroconcrete. The designers say they put some mics and speakers in it and connected them to a unix box, so everybody can use it now from the internet. To try it out, upload some audio material, and they say it will be processed in real-time. 112db Redline Monitor 112dB announces that Redline Monitor, the near-field monitor simulation for headphones, has been updated to version 1.0.2. 9 Soundware Consussion Concussion by 9 Soundware is an instrument in EXS24 format. Zenhiser Pro Audio Pure Minimal Snares & Claps 01 Last of Zenhiser's new collections, Pure Minimal Snares & Claps 01 is out now.